Haute Whimsy: The 'Cupcakes and Cashmere' Book! 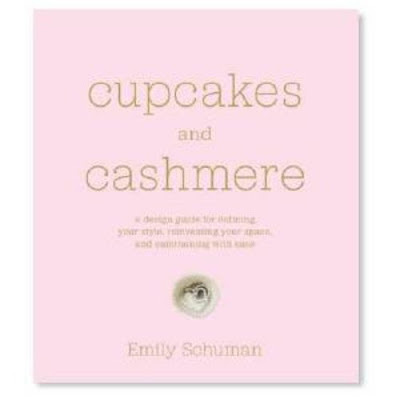 The 'Cupcakes and Cashmere' Book! I'm so excited because for the greater part of 2011, I've been sitting on the edge of my seat waiting for Emily Schuman's book to be released. Her blog is at the top of my daily read list - I'm such a huge Cupcakes and Cashmere fan - and I just found out that her book is available for pre-order! I bought mine and can't wait to see the beautiful photography, amazing cocktails, awesome DIY projects and incredible outfits that you know will be included in the 176 pages! P.S. If you're a blog addict like me, you may also want to check out Grace Bonney's Design*Sponge at Home ! I need to buy this book!